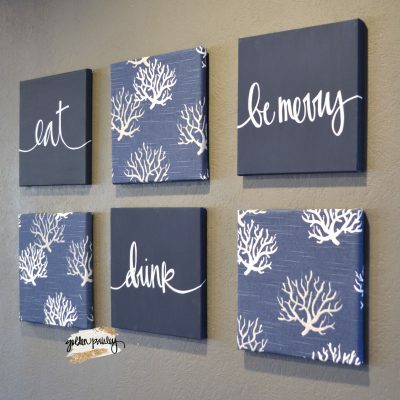 This wall art pack features SIX 12 x 12 inch canvas wall hangings. They are hung together to create a beautiful gallery wall that decorates a wall space over 3 x 2 feet large! The large set is perfect for a large empty wall that needs a little love! 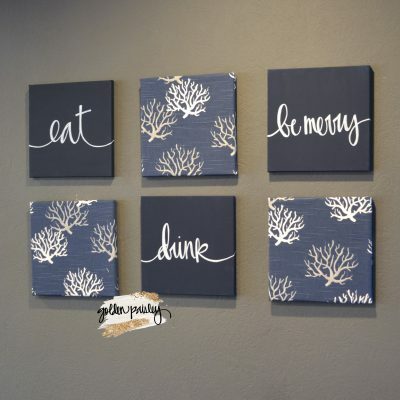 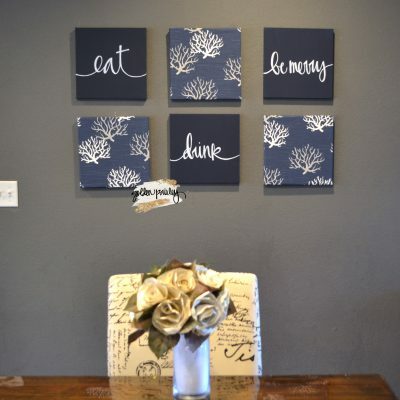 The canvas paintings are finished in a rich navy blue color with handpainted white letters in my own handwriting, and the fabric upholstered canvases feature a chic navy and gray nautical coral pattern. 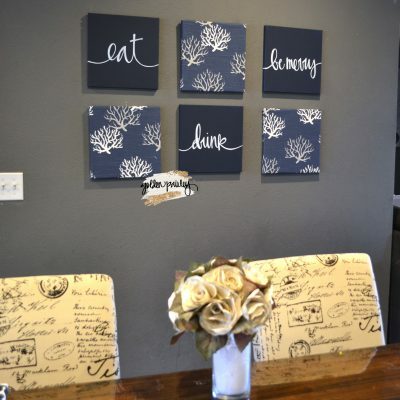 Each canvas features a self leveling sawtooth hanger. 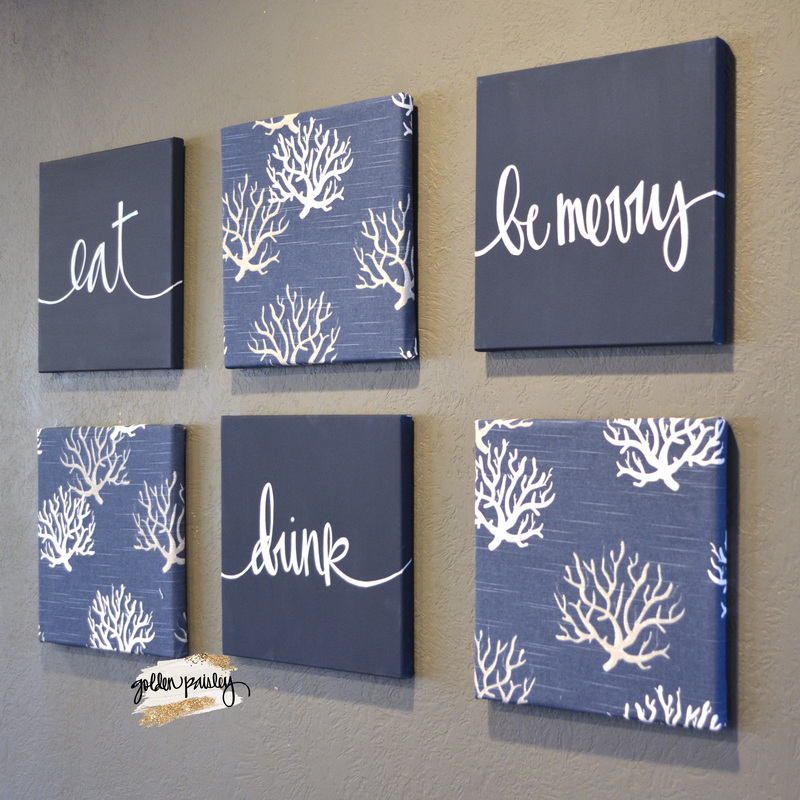 Make your home more welcoming and cozy with this wall art!